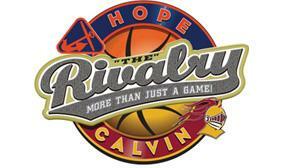 The Hope-Calvin Rivalry Challenge -- Let's Win This! The Rivalry Challenge between Hope and Calvin continues through the end of Februrary. The goal? To get more alums and students to participate in Hope's Annual Fund than Calvin. Gifts of any size count. Are you in? The ongoing rivalry between Hope and Calvin colleges has entered a new arena: alumni and student giving. To track the winner of the Rivalry Challenge, Hope and Calvin are comparing the percentage of alumni and students who contribute to their annual funds until the end of February. The college with the highest percentage will earn bragging rights, but the real winners will be the institutions’ students. At Hope, revenue from the Hope Fund provides unrestricted operational support that benefits every student, including academic and co-curricular programs. To see who is winning, go to www.hopecalvin.com. Every gift will make a real difference not only to students but in the contest. During 2010-11, the Hope and Calvin alumni giving percentages were close at 23 percent and 20.7 percent respectively. Gifts made to the Hope Fund also impact the bottom line of the current A Greater Hope campaign. You can make your gift online or by mailing your gift to Hope College, Advancement Services, 141 E 12th St., Holland, MI 49423. If mailing your gift, make sure it is postmarked no later than February 29, 2012.